The Fraser River is beginning to rise and color due to early spring freshet. The term freshet is used to describe the river when it rises due to snowmelt. Yesterday there was quite a few sticks in the water with water levels rising about 2ft. Fishing was still excellent with some very nice fish landed. 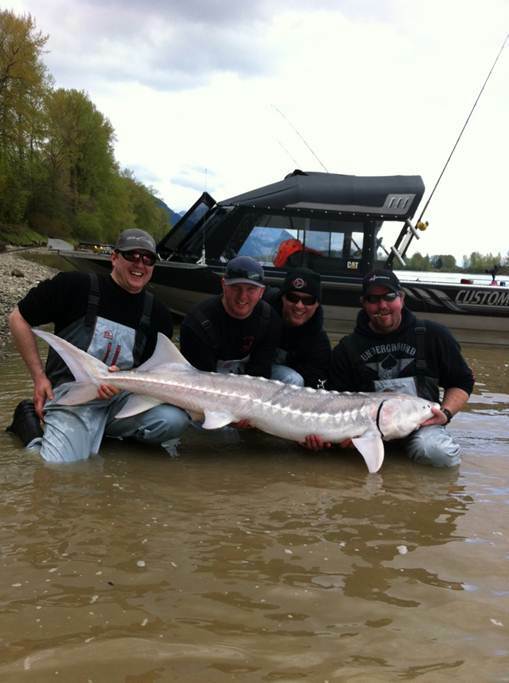 Sturgeon, Sturgeon and more Sturgeon. 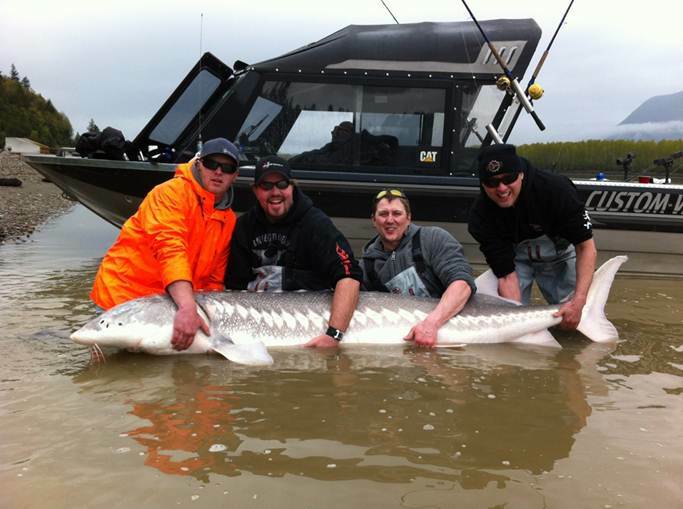 This week we saw some excellent fishing for sturgeon on the Fraser, our largest fish was landed yesterday by our guests from Medicine Hat measuring 8ft or 244cm. We are pretty much sold out for the weekend but have some spots open for next week and weekend. Here are some pics from this week.